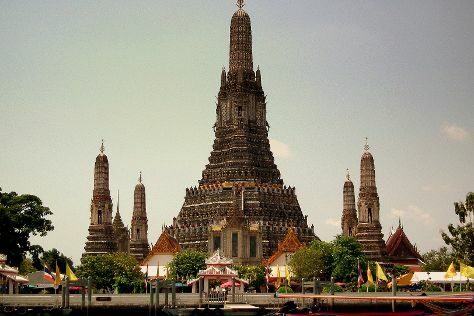 Enjoy cultural, historical, and culinary exploration during your holiday in Bangkok, the capital of Thailand and the most populous city in the country. With over 8 million residents, Bangkok remains a sprawling metropolitan area, with cultural, economic, and architectural variety between and within its districts, giving the city a vibrant, almost haphazard feel. Offering museums, religious sites, and all-important examples of Thai street food, the city serves as a regional hub of commerce and development. Centered on a river and its main canals, Bangkok provides walking routes and day trips pleasing to both aesthetes and historians. Bangkok is in Thailand. Use our Thailand road trip planner to arrange your visit to Bangkok and other destinations in Thailand.